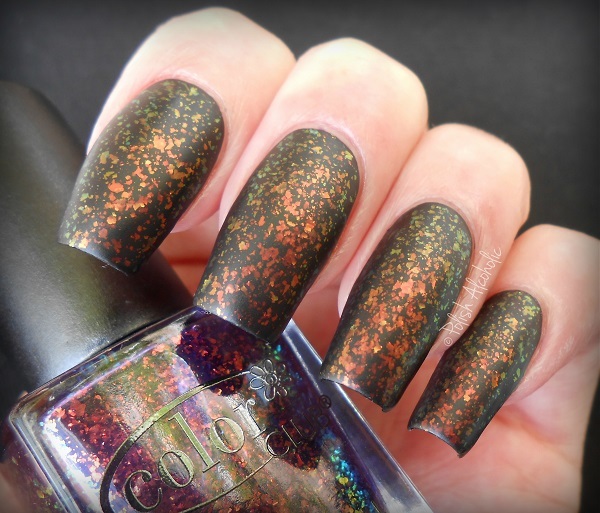 The Uptown by Color Club is another polish that was on my wish list for a long time. 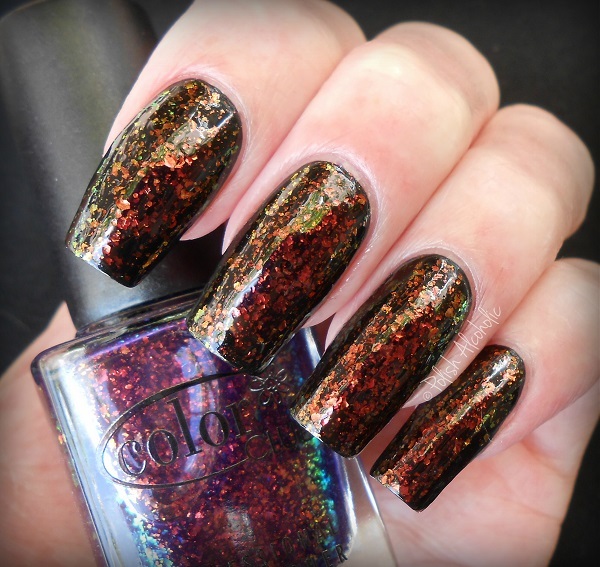 Thanks so much @ Gimme All The Polish for adding this one to out massive nail swap. I layered one easy coat of the Uptown over my favorite black polish (Liquid Leather by China Glaze). This is absolutely stunning! 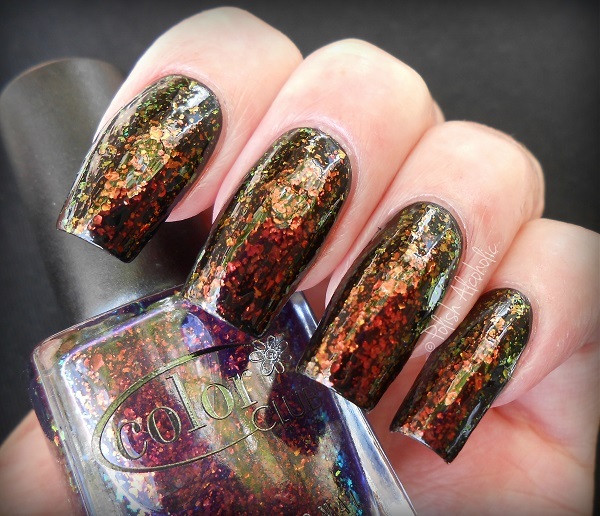 And just because I need to mattify all flakies: Awesome, ha! 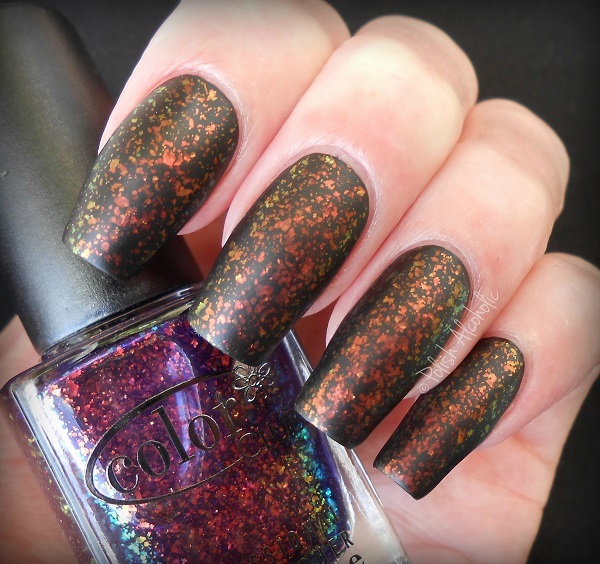 This entry was posted in Color Club and tagged color club, flakes, flakie top coat, flakies, review, swatches, the uptown by Polish Alcoholic. Bookmark the permalink. You’re right, it is stunning! And what matte top coat do you use? I don’t even own a matte top coat… I’ve been wanting one for a long time, but I’m scared it won’t dry. I need my fast dry top coat, lol.